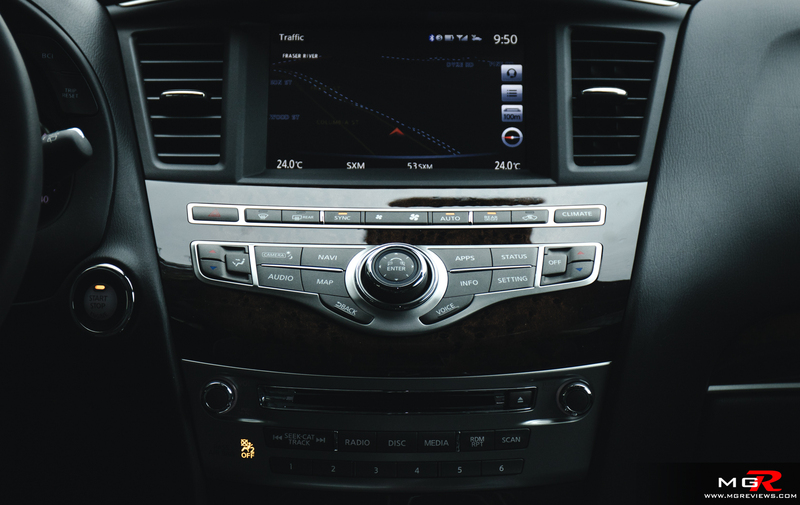 The Infiniti QX60 is a great long trip 3 row SUV. 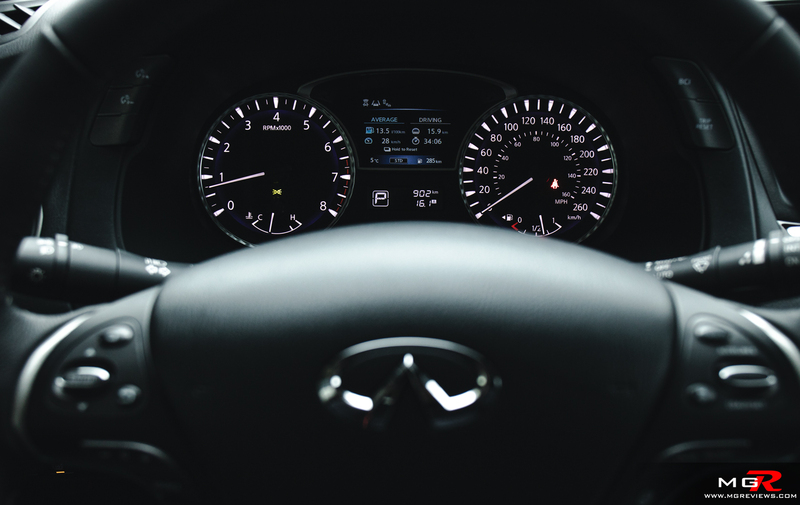 But in a world of consumers that demand the latest tech and rising gas prices, can the Infiniti still compete? 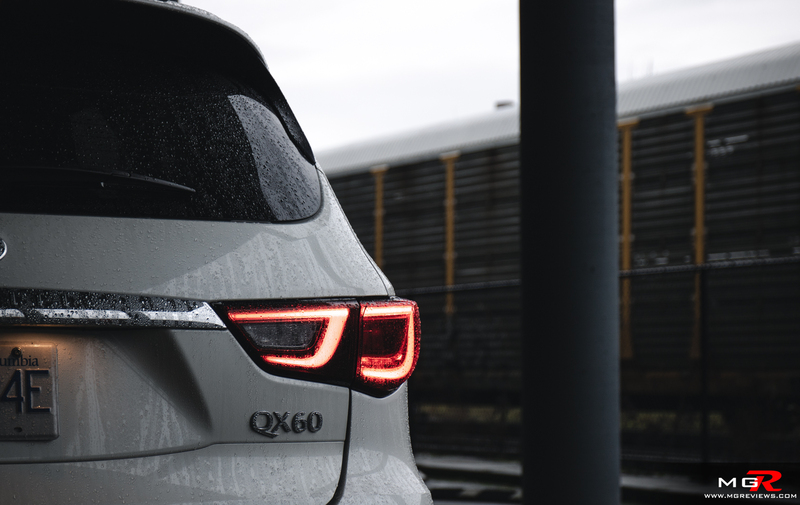 Engine – A 3.5L V6 producing 295hp and 270 lb-ft of torque is the only engine that is available in the QX60. 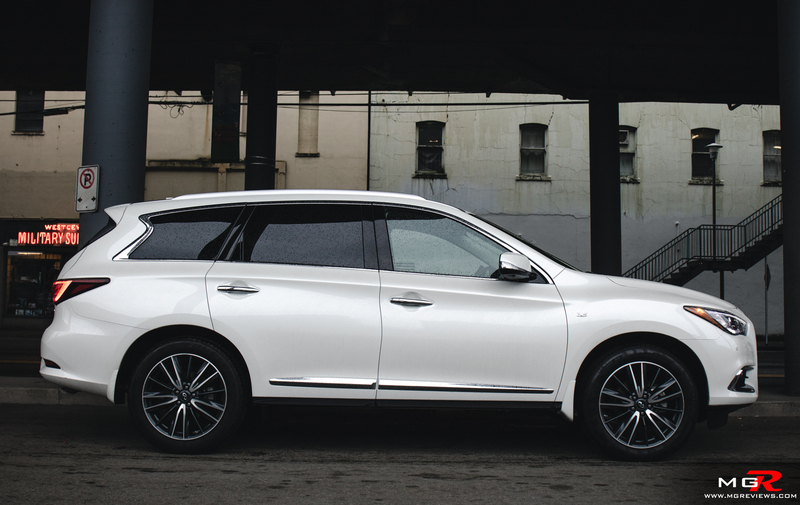 Because it’s not turbocharged, the engine response is quick and it doesn’t take much to get the 2 tone QX60 going. Fuel economy isn’t that bad either for such a heavy SUV with a V6 engine. It is rated at 9.0L/100km on a highway and 12.5L/100km in a city while I managed around 12.8L/100km during my week long test drive. Still not bad for such a hefty vehicle with a lot of idling time to warm up during the cold winter mornings. The Infiniti QX60 can also tow up to 5,000 lbs. 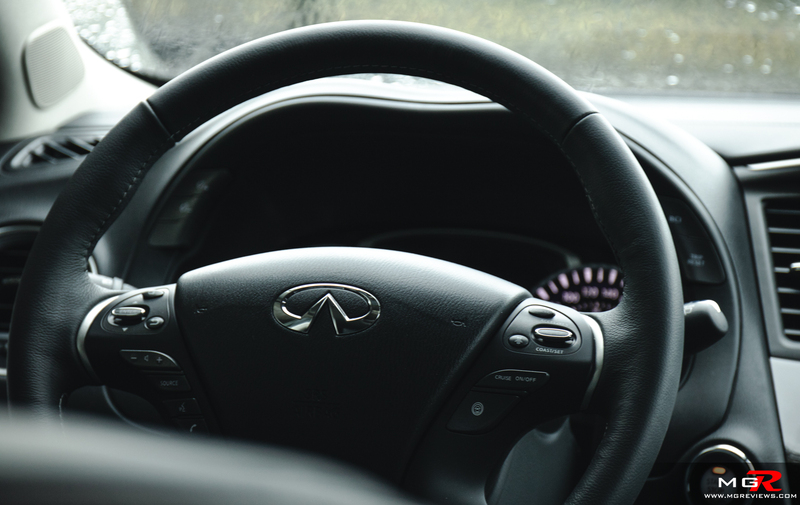 Transmission – Like many other Infiniti vehicles, the QX60 also uses a CVT transmission to send power to the wheels. It doesn’t deliver a sporty driving experience by any means but it does aide the SUV in getting the good fuel economy figure. 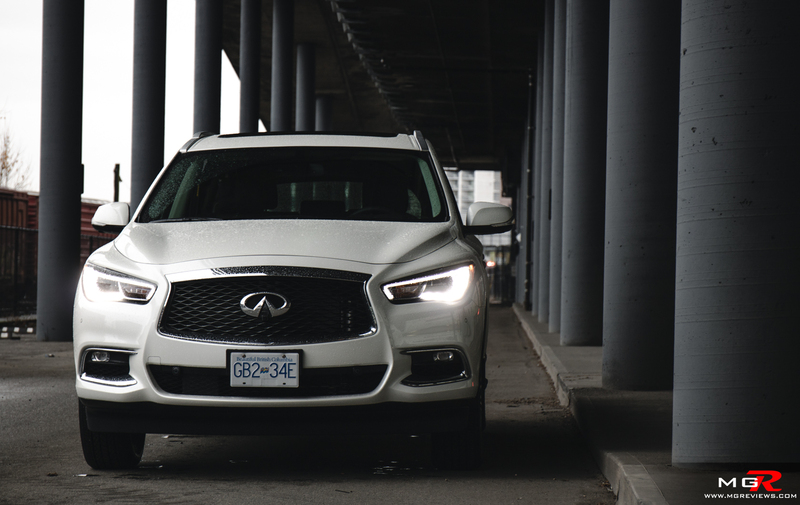 Braking – The QX60’s brakes do a good enough job of bringing the SUV to a stop but the brake pedal doesn’t inspire a lot of confidence when it feels as soft as it does. The good thing is though that emergency automatic braking is a standard feature on this SUV as well as blind spot sensors. 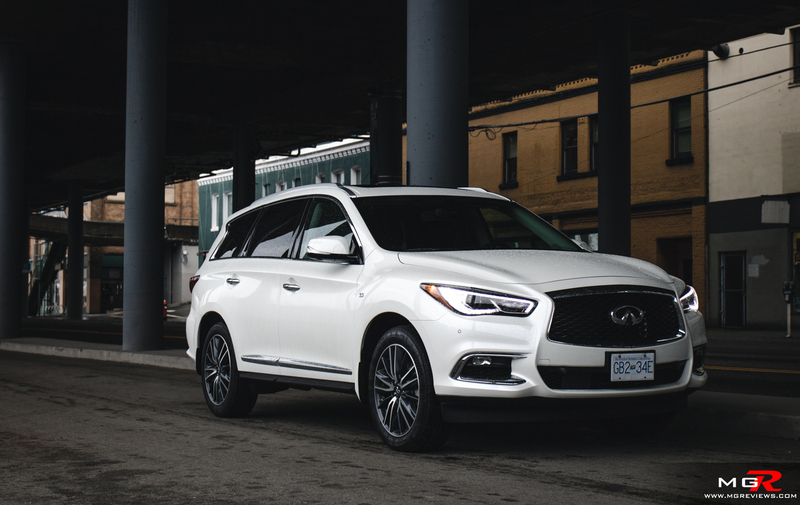 Handling – What makes the Infiniti QX60 such a good long road trip SUV, is the fact that it has soft, supple suspension. Great for absorbing bumps but not so good for delivering an engaging drive. 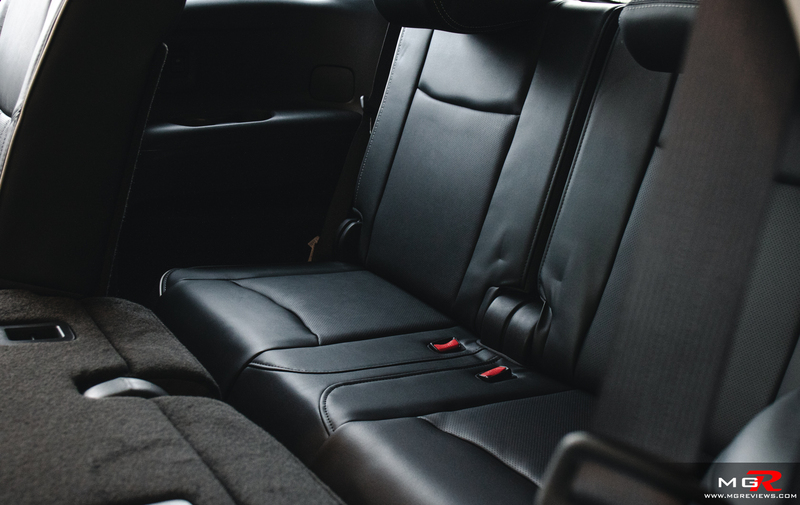 The soft suspension allows the body to roll from corner to corner more than other 3-row SUVs. It’ll still provide more than enough grip, even with the AWD system, but as said, it’s not the most engaging driving large SUV. 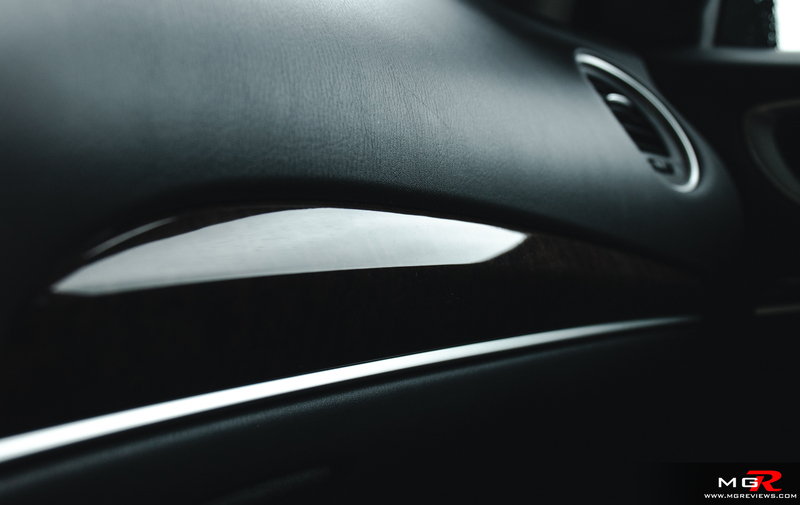 Ride Comfort – The QX60 glides over bumps and road imperfections. It provides a very comfortable ride for all passengers. 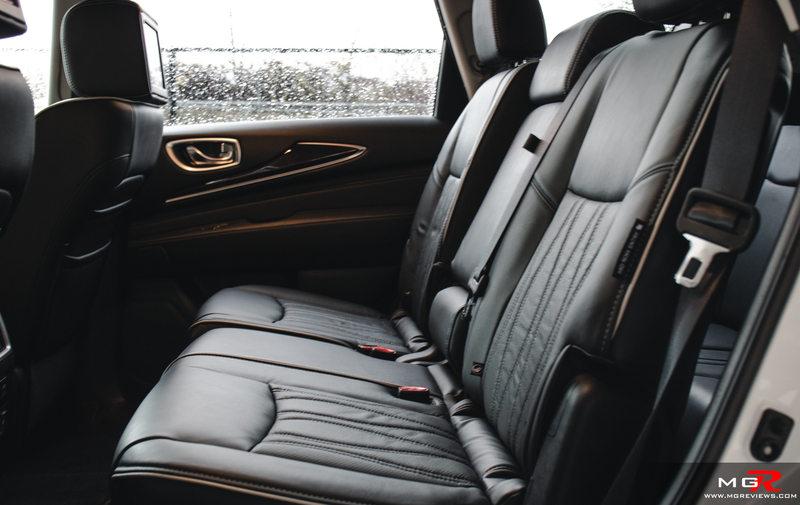 Long distance trips feel shorter because everyone is calm and relaxed inside the cabin of the QX60. 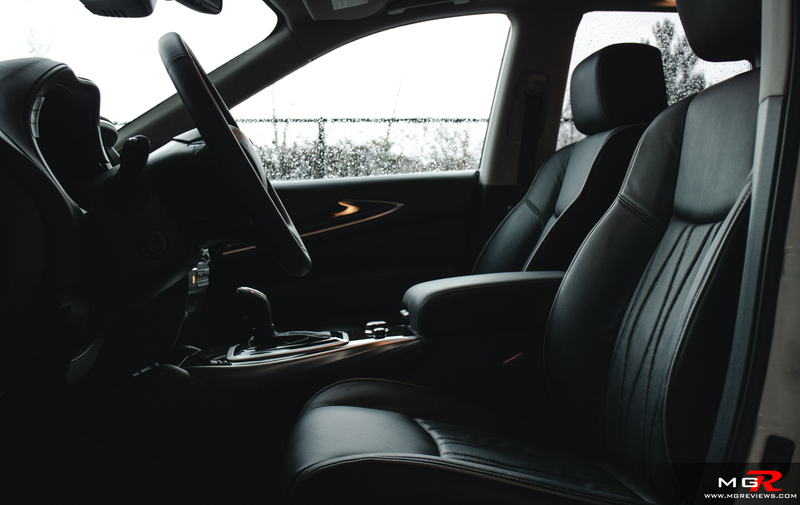 Interior Space – Front occupants have the best seats in the car with the most space and adjustments. Second row occupants also have a generous amount of room both for their legs and heads. The second row also slides forward and backwards for added room. Third row is probably best suited for children as it is a little tight for adults. Noise, Vibrations, & Harshness – The smooth V6 engine doesn’t translate any vibrations into the cabin when accelerating or cruising. It is also exceptionally quiet whether accelerating from a stop or just cruising. 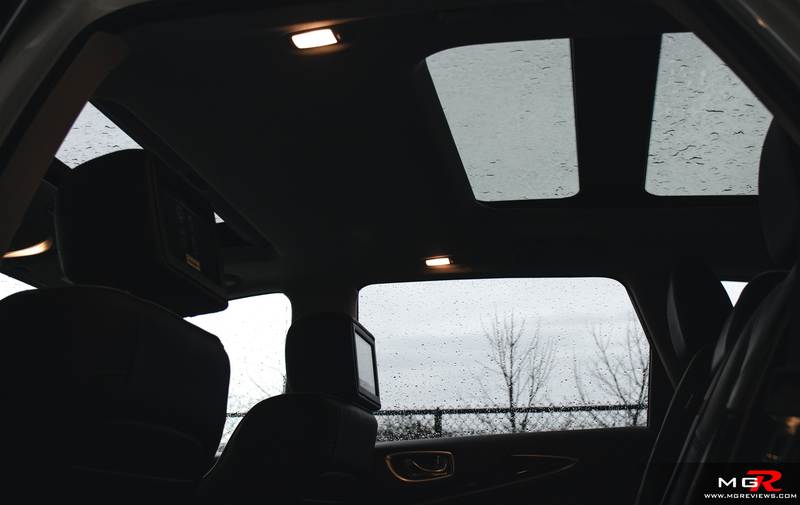 Road and wind noise are also well insulated form the cabin making for a relaxed and calm environment. 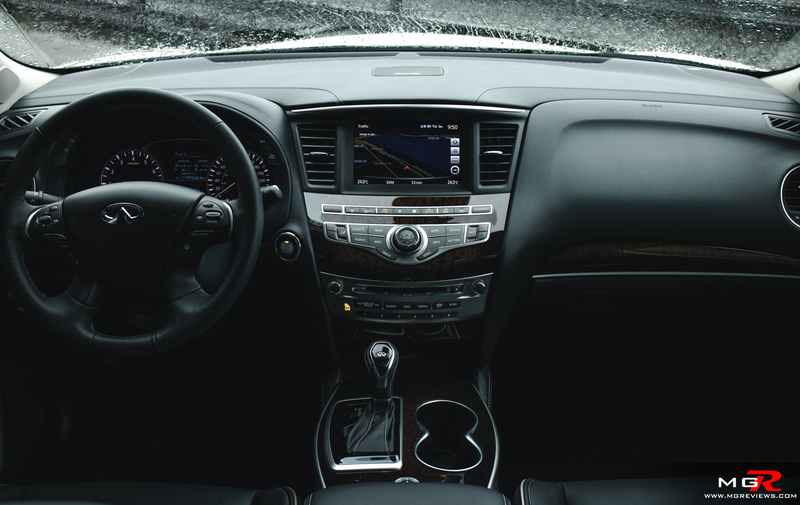 Interior Design – The Infiniti QX60 shares a lot of its components with it’s “twin” the Nissan Pathfinder. 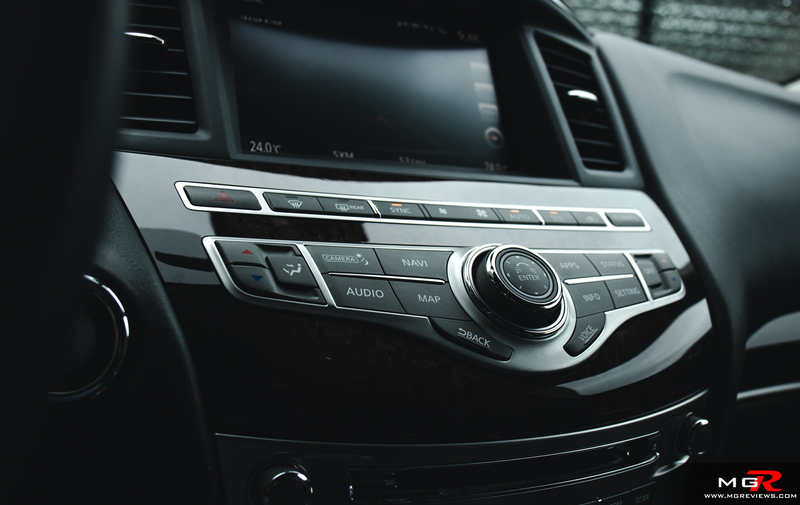 All of the buttons and switches work but the design is not as aesthetically pleasing as the Infiniti QX50. Like the infotainment on the Pathfinder, it’s really showing its age with the dated graphics. 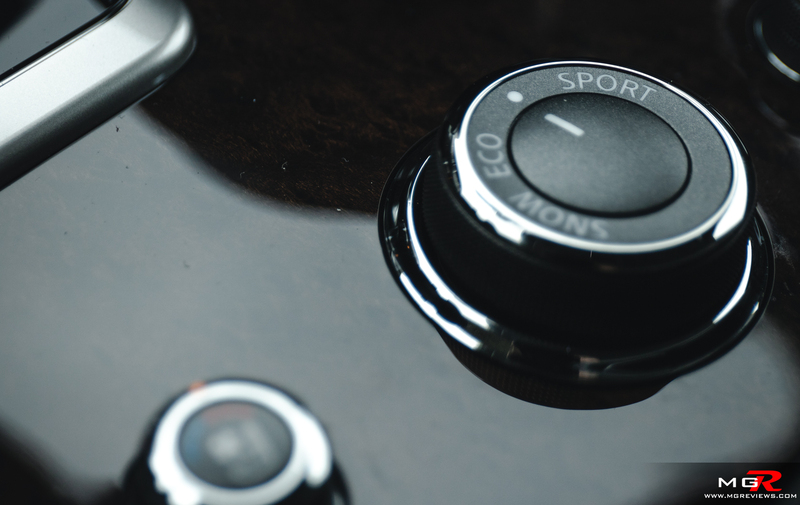 Gadgets – Depending on which package you opt for, you can get a lot of safety and convenience features on the QX60. 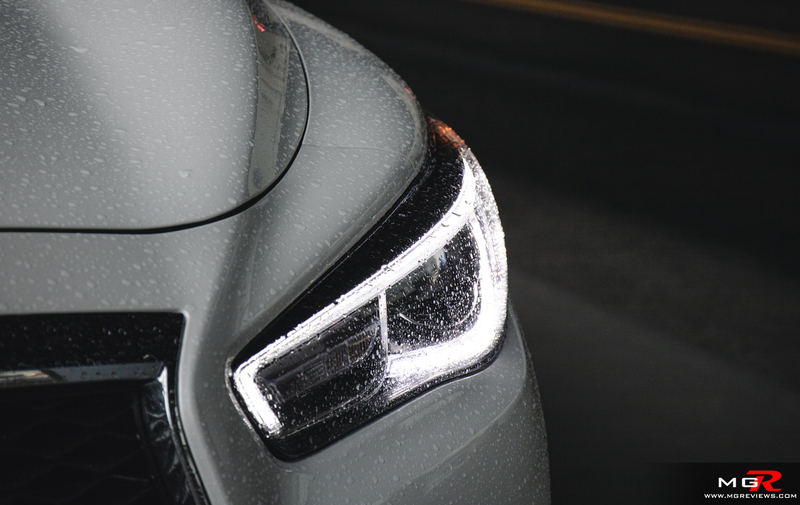 As mentioned earlier, automatic emergency braking and blind spot sensors are standard features but things like adaptive cruise control, backup collision intervention, and rear cross traffic alert can be optioned. 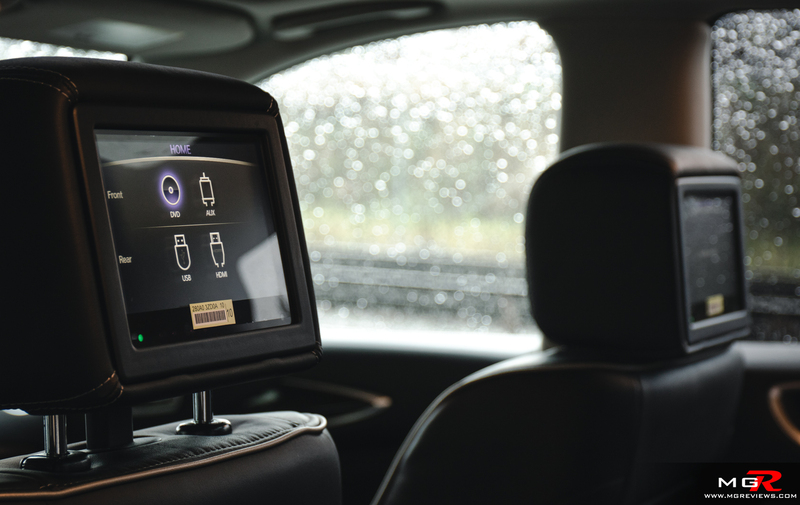 Navigating through the infotainment is simple enough after you play around with it but the screen itself could be a bit more responsive to touches. 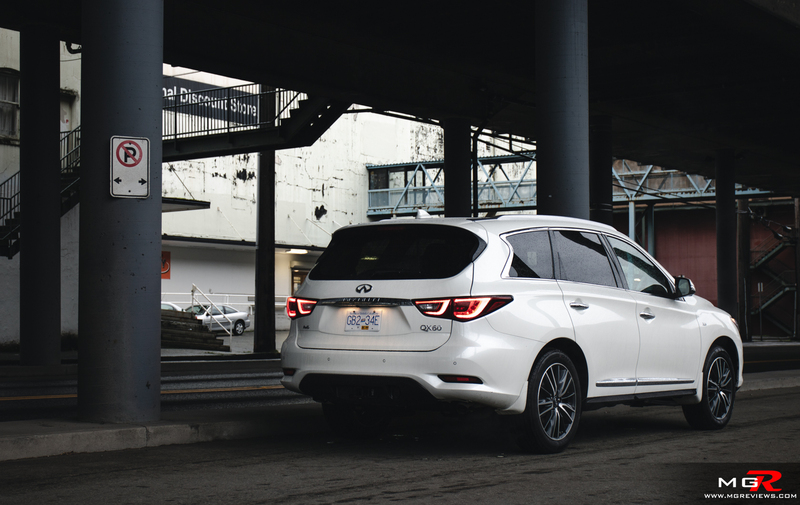 Exterior Design – The Infiniti QX60 received a minor facelift in 2016 to make it more in-tune with other Infiniti products. It retains some of the same characteristics of it’s Nissan Pathfinder twin, especially in side profile, but overall it’s undoubtedly an Infiniti design. 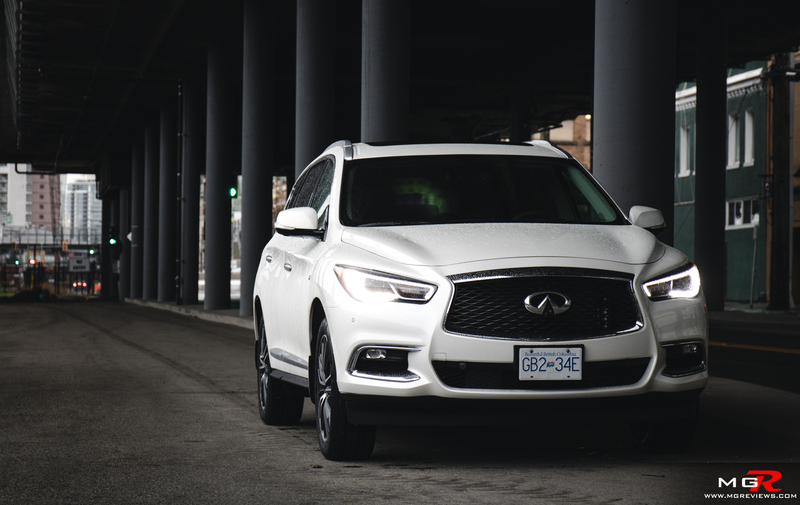 In all, the 2019 Infiniti QX60 is definitely focused more towards the luxury side of things rather than providing a sporty feel. 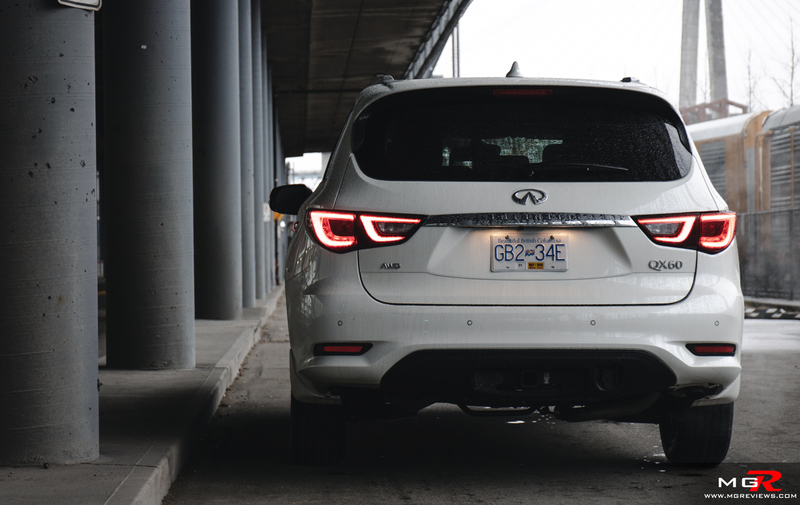 With a starting price of around $48,000 CAD, it’s also a lot cheaper than its competitors from Acura & Lexus making this a great choice for a luxury orientated and comfortable 3-row SUV.